It’s sort of difficult to talk about our efforts in quality control at Wiley Metal without sounding like we are bragging. However, it really is at the core of our business. Why is it so important? I think it goes back to how we were brought up as a family. You know, the whole “If you are going to do something, do it right” school of thought. It also has a lot to do with the fact that our name is on the company. That may sound a bit Midwestern, but it’s true. Every day when we come to work our name is on the building, on the stationary, and throughout our branding. That is sometimes a humbling experience that none of us take likely. Is it a source of pride? Sure it is. But it also is a force that helps keep our feet to the fire. Another reason quality is so critical is that since 1982, we’ve built some pretty great relationships with our customers. In so many instances we aren’t manufacturing products to sell, we are creating products to help our friends grow their business. I know that too, may sound like a Midwestern thing, but it is part of who we are. As we have grown, it has been important for us maintain strict quality control standards and our documented best services maintain QC levels at ISO 9001 levels. 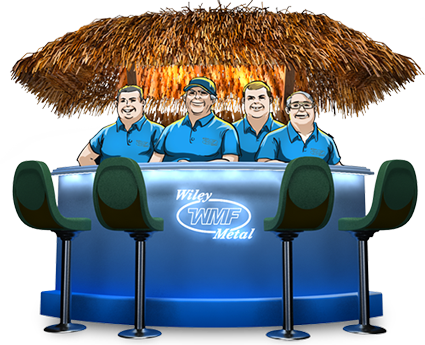 If you are currently a customer of Wiley Metal, thank you for your business and thank you for your high expectations. You have helped us set the quality standards that have allowed our growth. 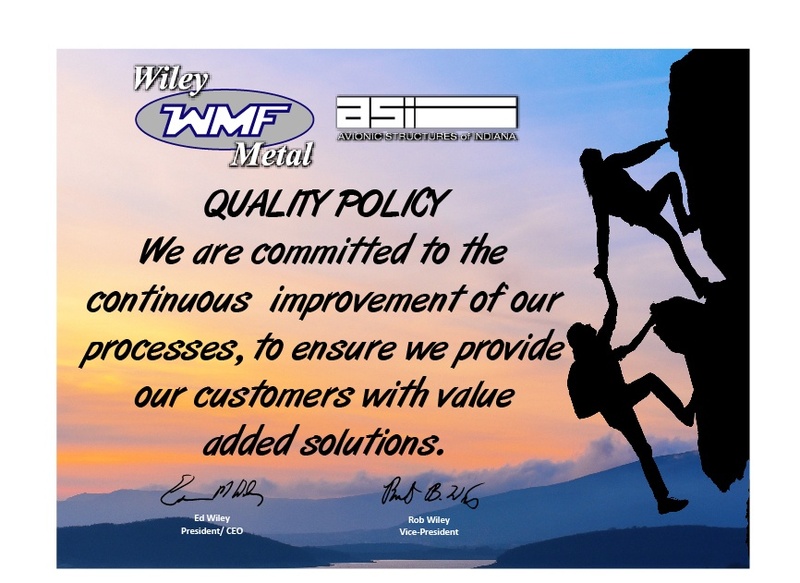 If you are considering Wiley Metal products, it would be our pleasure to earn your trust. Should we ever come up short, please let us know. Our family name is on the building. That’s a big deal, and we don’t take it lightly.